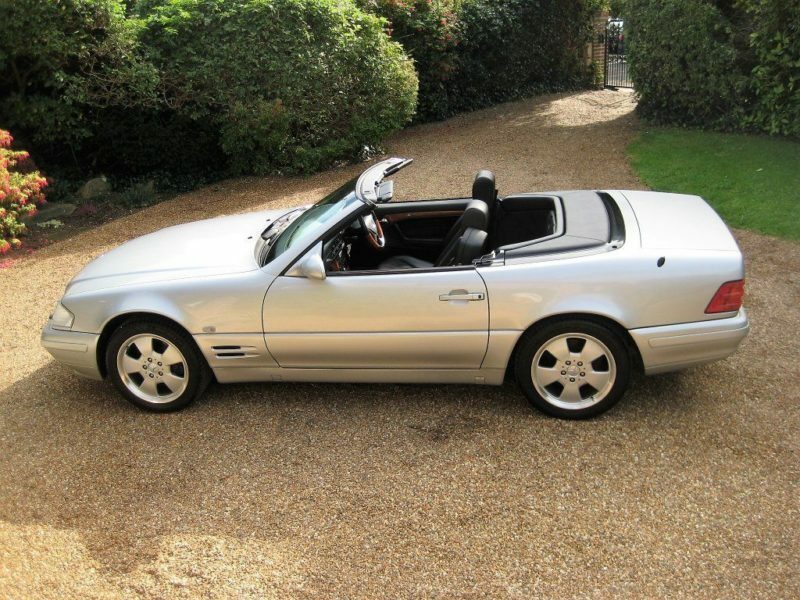 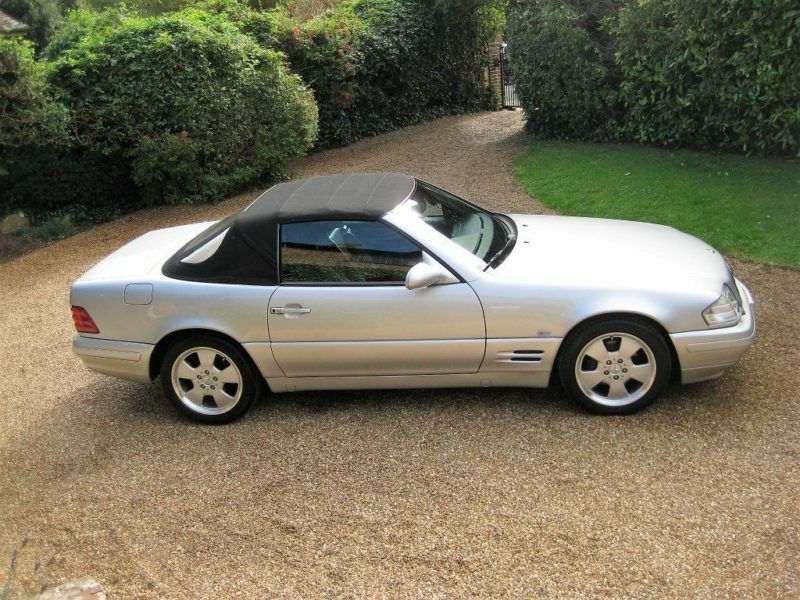 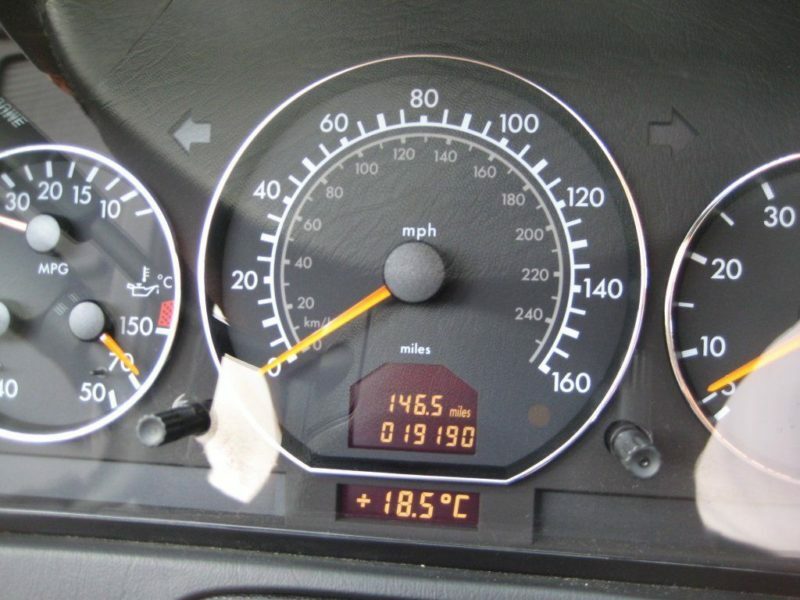 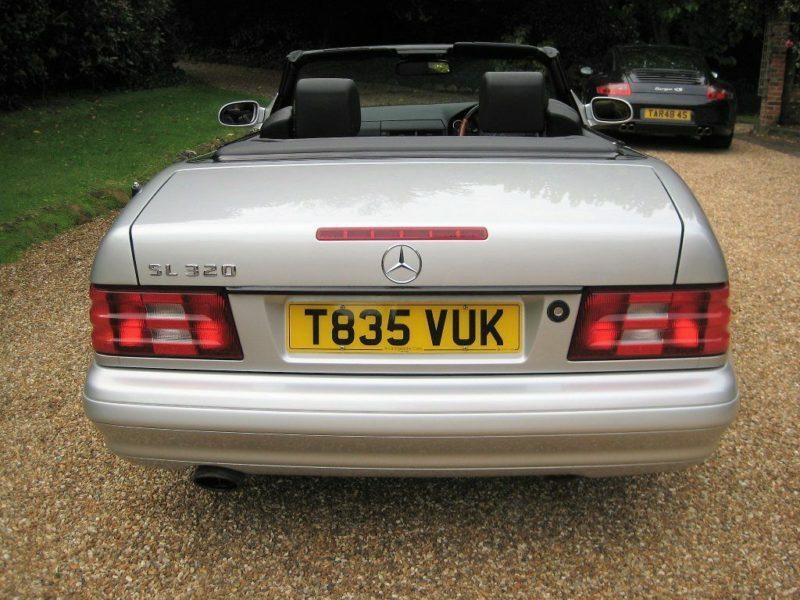 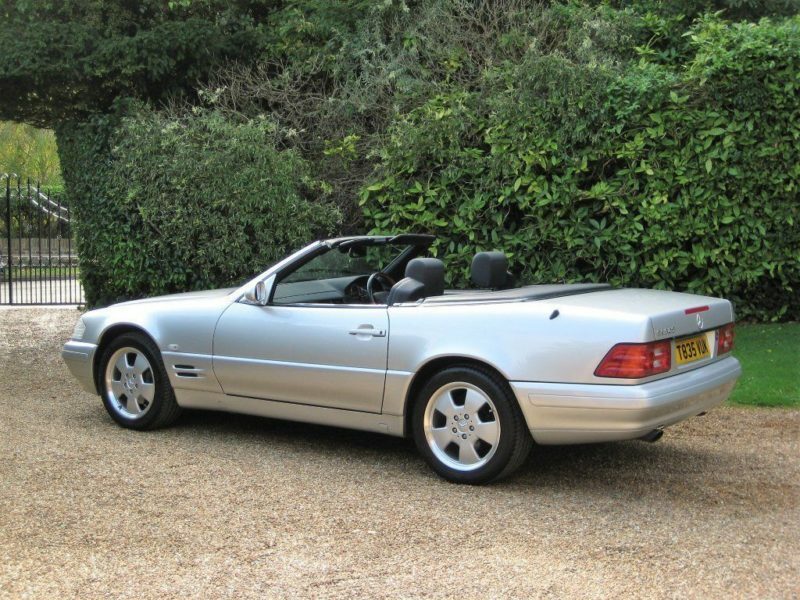 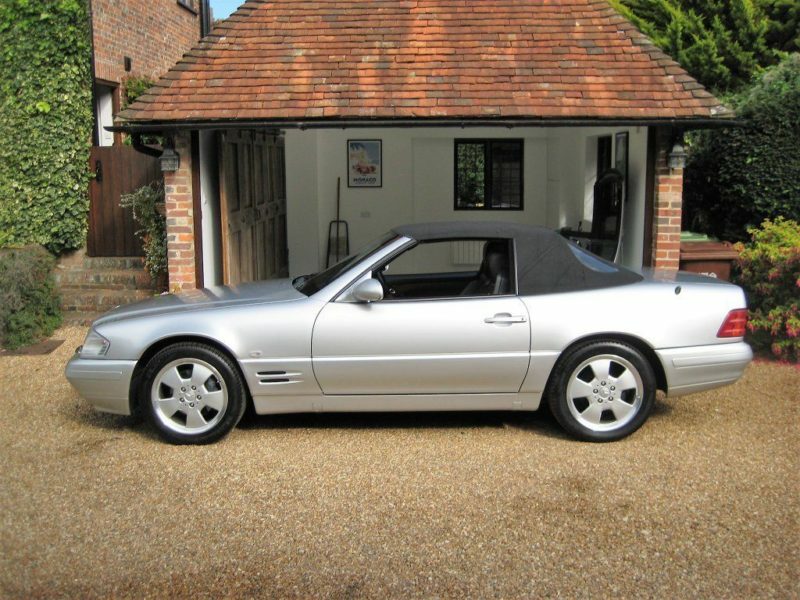 JUST 19,000 MILES WITH 1 P/OWNER FROM NEW + FULLY SERVICED BY MERCEDES BENZ MAIN AGENT ONLY 24 MILES AGO! 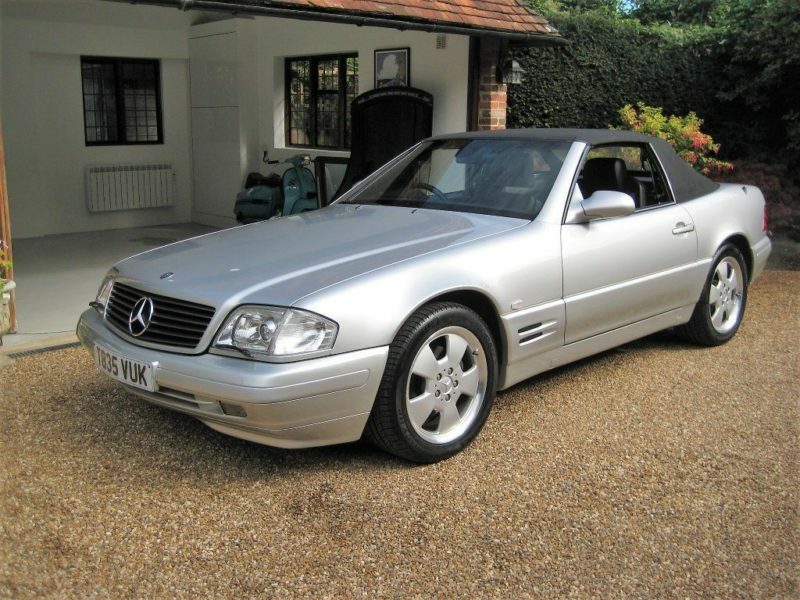 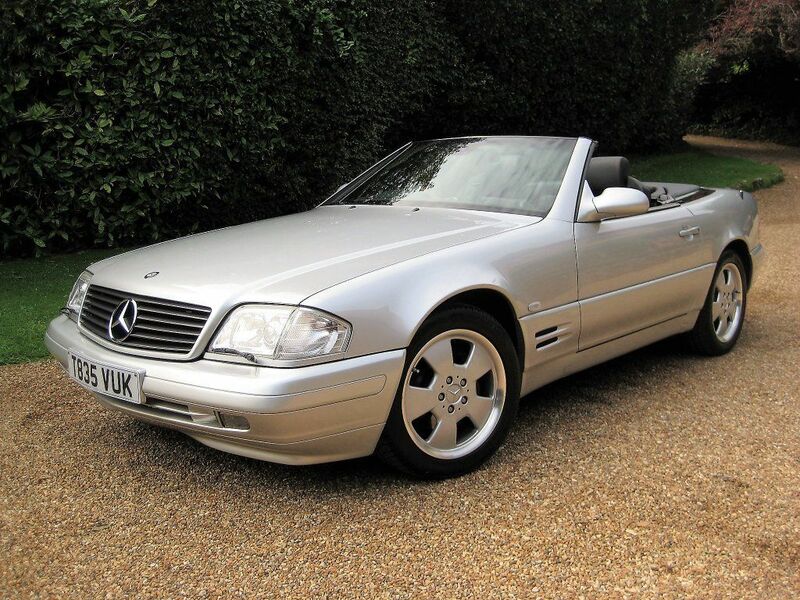 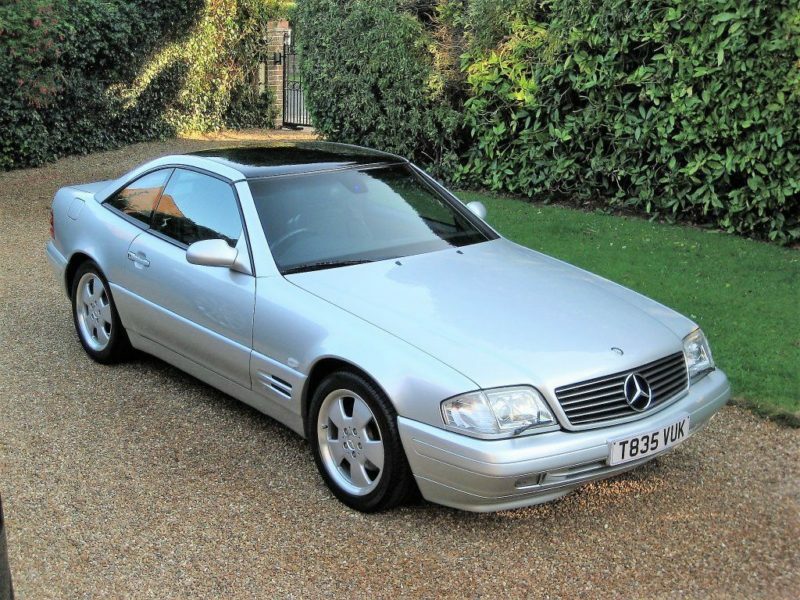 VERY RARE EXTREMELY LOW MILEAGE R129 SL320 V6 FACELIFT MODEL Finished In Brilliant Silver Metallic With Contrasting Full Black Soft Nappa Leather. 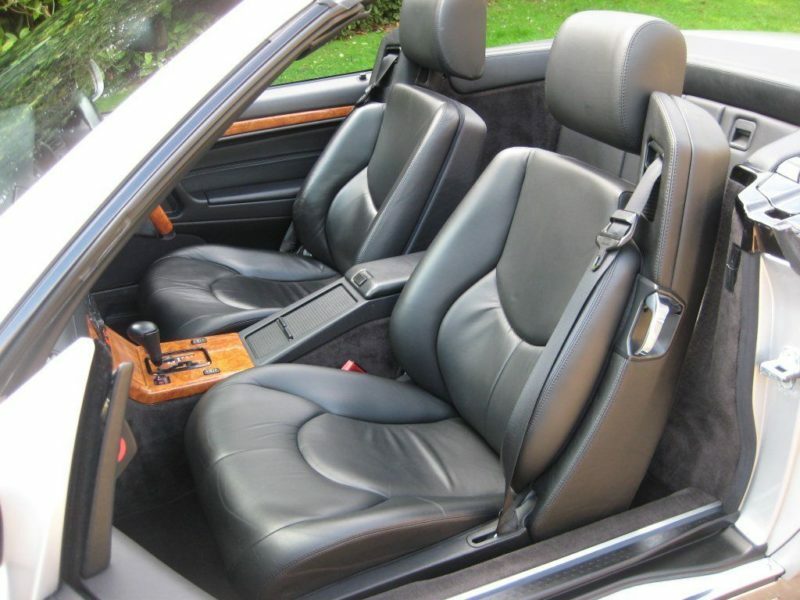 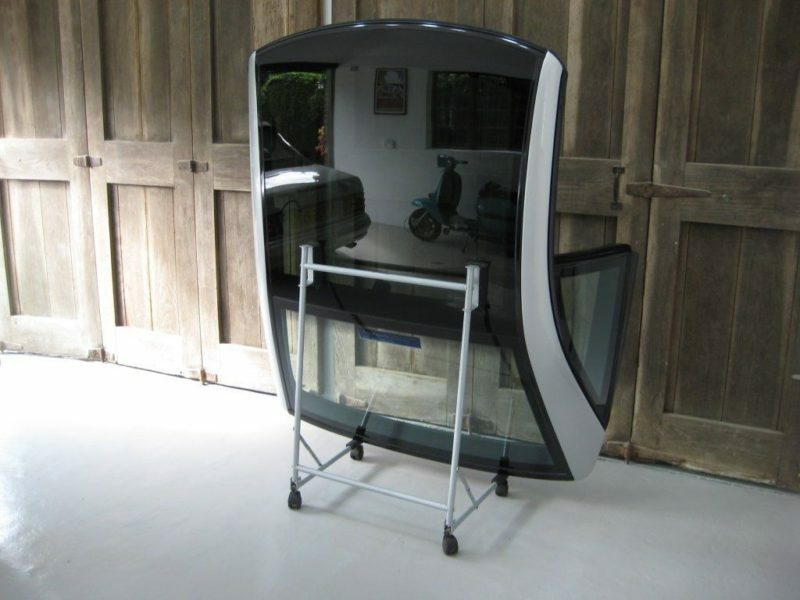 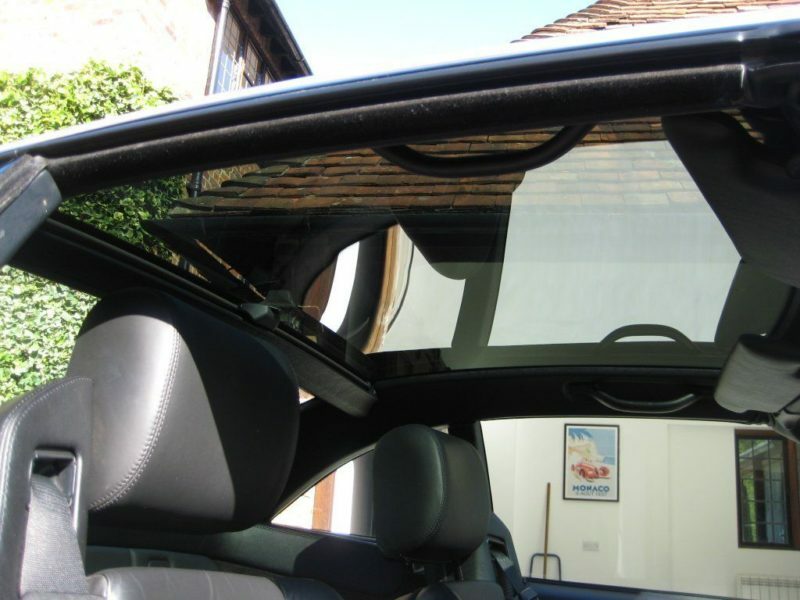 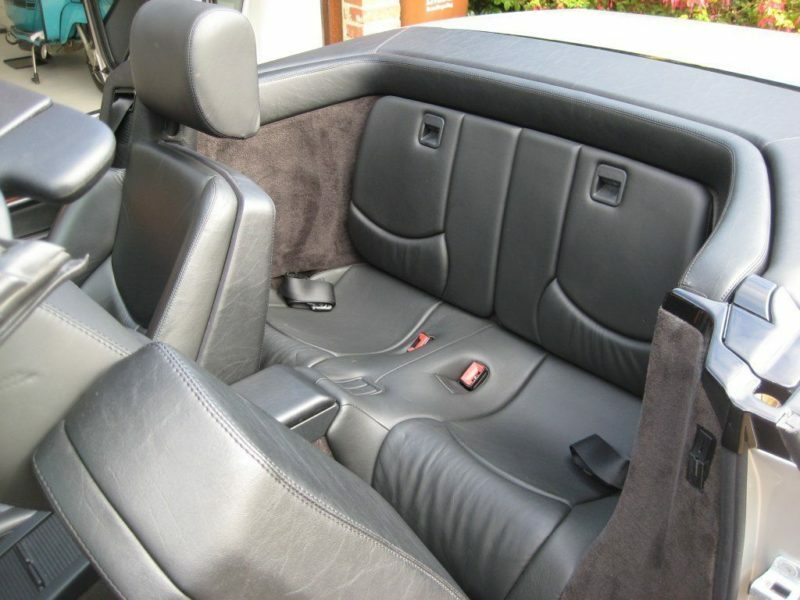 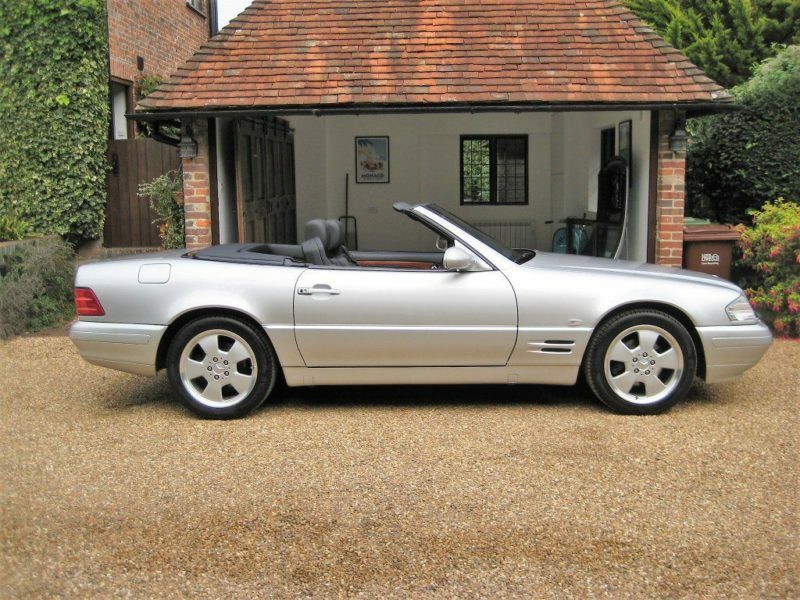 Specification includes panoramic glass roof with sun blind, optional rear seats, digital automatic climate control/air conditioning, cruise control, original Mercedes-Benz audio 30 radio with electric aerial, wood/leather steering wheel, electric seats with driver & passenger memory settings, auto rain sensing wipers, auto anti-glare rear view mirror, electric folding mirrors, ASR driving stability system, auto boot release, wind deflector with shield case, Xenon headlights with headlamp wash wipe, totally unmarked 17″ Mercedes ‘Hollander’ alloys with 4 virtually new matching Michelin tyres, full size unused spare wheel, original Mercedes first aid kit & tool kit, fitted MB carpet mats etc. 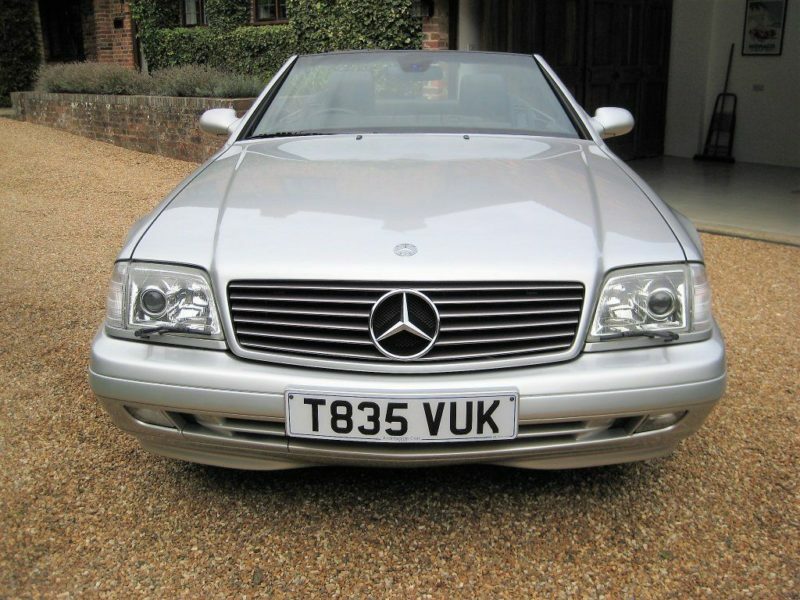 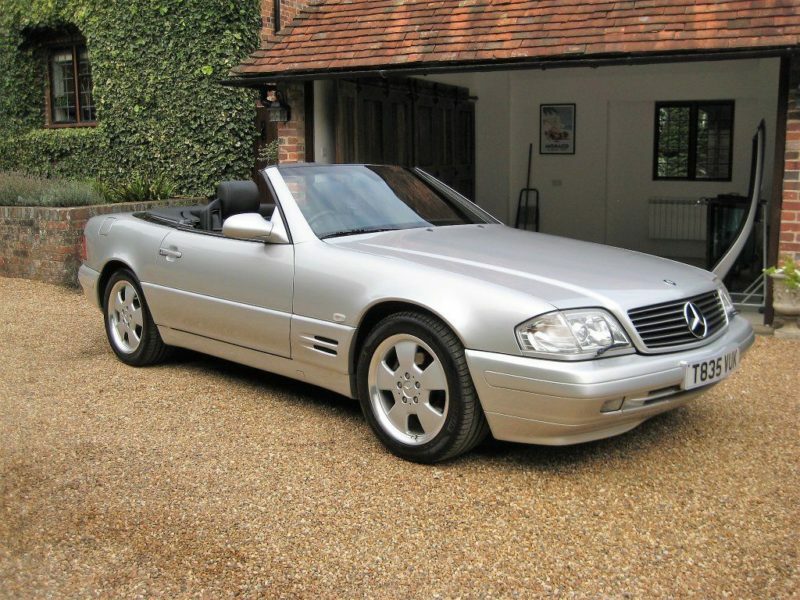 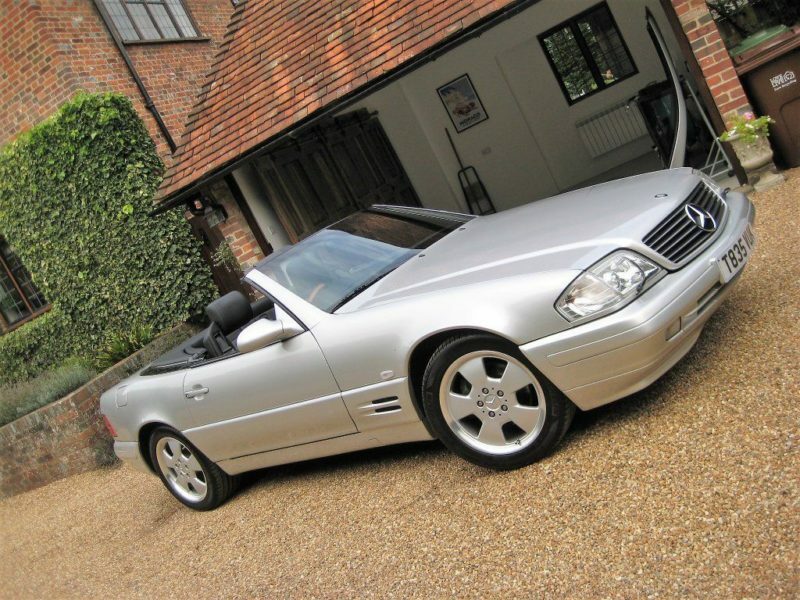 Registered new in August 1999 by Pentagon Mercedes Benz of Southampton with a comprehensive service history from new having been serviced at 1810, 5152, 7600, 9960, 12855, 14582, 16116, 17094 miles and more recently at 19166 miles by Mercedes Benz of Eastbourne only 24 miles ago. 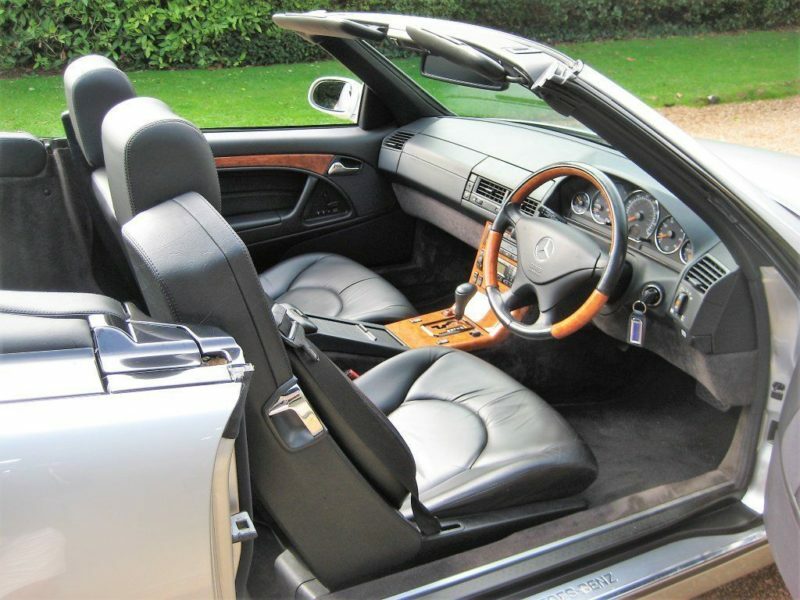 In addition we have a documented history file containing supporting service invoices, purchase invoice, previous MOT’s, all manuals in original leather Mercedes document wallet along with both remote keys & even the original ‘Funk Card’ (remote control key card) in perfect working order. 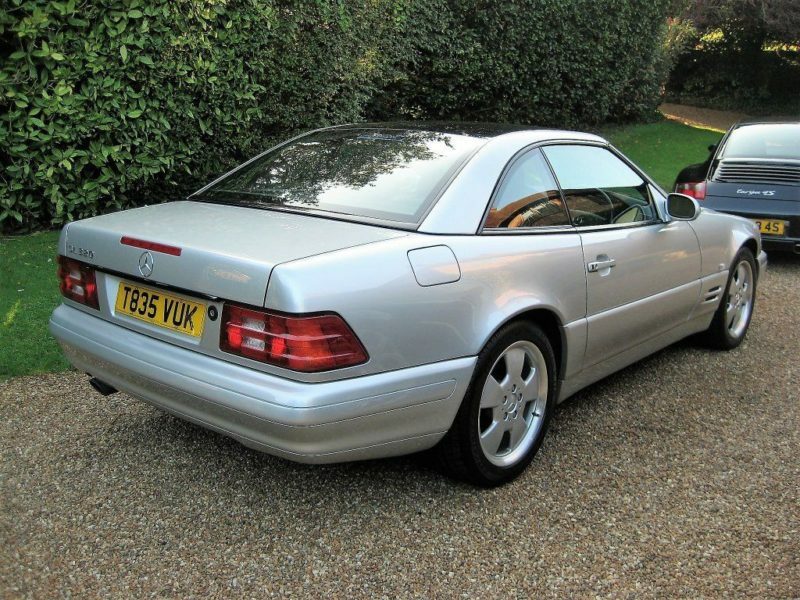 This must be one of the best available.